An exciting new evolution in structural tree soils. CU-Structural Tree Soil is a sustainable and innovative tree rootzone developed to provide immediate and long lasting solutions for modern engineering problems. Urban engineers have historically been required to utilise or design many different products or services to meet the challenges for their current environmental problems. Finding and implementing new sustainable technologies that work with existing or obsolete surface and subterranean infrastructure has been an essential requirement in meeting the demands on modern town and city planning. Recent expected changes in our current environment and weather conditions have made us change the way we build our towns and cities. 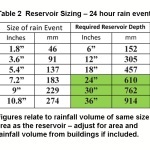 We are now experiencing wetter winters and hotter summers both of which are having a direct effect on our urban environment. 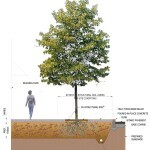 Modern materials such as CU-Soil developed by Cornell University in the United States are becoming a necessary engineering solution to combat storm water runoff through SuDS management and by providing a solution for the urban heat island effect (UHIF) by mitigating the suns heat through planting long living sustainable urban trees. CU Structural Tree Soil is an ideal solution to these problems as it is a tree rooting medium that can be compacted to pavement design and installation requirements while still facilitating healthy root growth and drastically reducing any heave or cracking in the pavement. 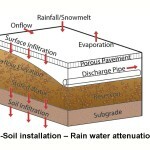 By using CU-Soil in conjunction with a permeable surface paving such as resin bound stone or porous asphalt a water reservoir can be implemented into the existing tree pit design which takes the over burden off of existing storm water services resulting in a slow release for filtered rain water to enter back into the earth. CU Structural Tree Soil’s composition is a mixture of gap-graded crushed stone, clay loam and a hydrogel stabilizing agent which keeps the mixture from separating. 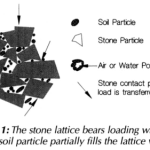 It provides an integrated, root penetrable, high strength pavement system that shifts design away from unsustainable individual tree pits which are known to create long term damage to surface pavement systems through root heave which leave the tree under nourished and consequently reduces the urban trees lifespan. CU Structural Tree Soil is an ideal combination of structural fill and tree rootzone material for use in urban greening construction projects. It is also more environmentally friendly compared to the other products on the market. CU Structural Tree Soil is 100% recyclable and uses natural materials in its construction, it will not deteriorate over time and it is the most financially competitive solution on the market. 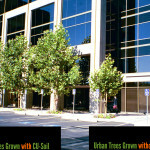 CU Structural Tree Soil has a very important secondary application where it can be installed as a dual function option, to provide a healthy, load-bearing rooting medium for urban tree planting, as well as a rainwater attenuation system to help comply with SuDS obligations for an urban development project.